The first thing to know about Croatia beaches is that not many of them are sandy; in spite of this, they are truly some of the most beautiful beaches in Europe. The mix of soft white pebbles, shingle or rocky platforms means the waters are clean and calm, making them heaven for swimming. Sandy beaches are usually created by an exposed coastline susceptible to waves (which breaks up the rocks). Croatia however is protected by its beautiful islands which hug the coast. The result of this is a serene coastline with secret coves, hidden half-moon bays and heavenly seaside towns. Out of all the beautiful beaches in Croatia (of which there are many) how do you choose which one to visit? 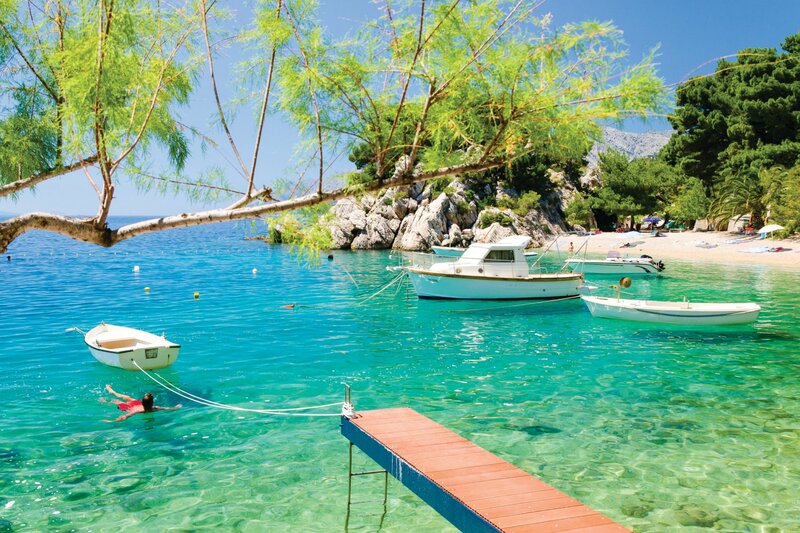 Below we’ve put together a guide on the best beaches in Croatia. Affectionately known as the Pearl of the Adriatic. The captivating Old Town walls, splashes of orange from the city’s roofs and the jaw-dropping blue of the Adriatic sea all come together creating a unique city you won’t easily forget. Along Dubrovnik’s coastline you can swim and bathe almost anywhere (you’ll see locals catching sunshine in the most obscure spots). What you’ll discover on Dubrovnik’s beaches is the clean and refreshing waters you could easily just float in all day. Water gently lapping at your feet is a much-welcomed refreshment as you lay at the water’s edge. The gentle shelving of the beach means it’s a haven for families or those with walking difficulties. It is in close proximity to the Old Town of Dubrovnik which features in some very famous film sets including Game of thrones (Kings Landing) and Star wars episode VIII means the impressive presence of the fortified walls are always in view. Fine restaurants, bars and café’s back this shingle beach with facilities available to hire. After the bathing glow of a magnificent sunset the beach bars open to a lively night scene. Just north of Dubrovnik centre the Lapad Peninsular is a delightful retreat from the hustle and bustle. A perfect half-moon shape, Copacabana beach is a mix of soft white pebbles and shingle. It’s a quieter alternative to the popular Banje. For more information on Dubrovnik and its fascinating old town visit Our Dubrovnik Ultimate Guide. There’s a little something for everyone in Split. Its alluring waterfront is packed with lazy bars, lively restaurants and tempting cafe’s. Split is a simple and relaxing seaside town. Split beaches are well protected by the islands off its shores and so you’ll find beaches with gentle gradients and warm calm seas. Locals will often tell stories of how they spent their childhood at Bacvice. The fine pebbles almost resemble sand and the calm warm sea make it a very popular beach indeed. Days are easily spent here worshiping the sun, leaping for beach balls or watching it all from the seaside pavilion. Buzzing and sociable this beach may not be best for those looking for privacy. The Radisson Blu Hotel however has access to 3 similar beaches which are much more tranquil. Omis was once home to the most feared pirates in the Adriatic. During summer special events such as pirate nights, pirate triathlon and pirate night tours take place to celebrate the towns history. Head around 50 minutes south of Split and the town of Omis is a real treat. Here you will find one of the rare sandy beaches in Croatia as the Cetina river feeds the beach with soft sand. The town has a stunning backdrop of high rocky mountains which shelter the town. 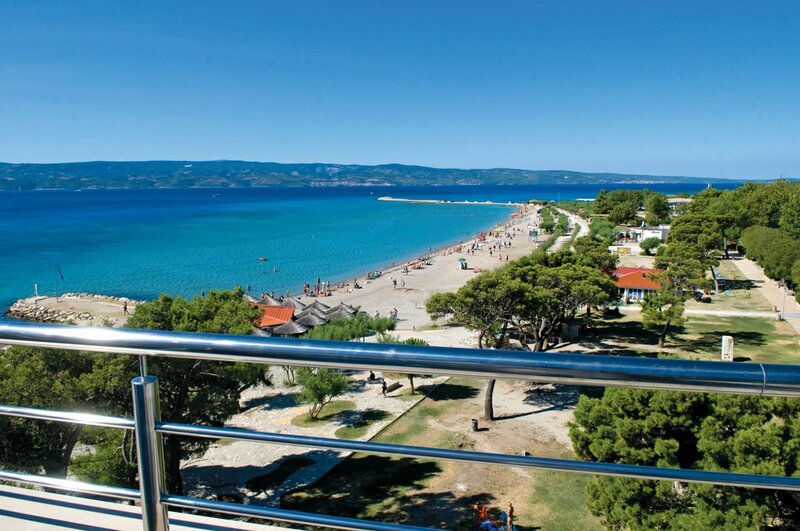 The Hotel Plaza Omis is right alongside the towns beach. Makarska Riviera is the stretch of coast between Split and Dubrovnik, also known as the Dalmation Coast. The much loved dog breed ‘Dalmation’ originate from this region. Impossibly clear, the waters glow an eye catching tint of turquoise. So clear and calm is the sea, boats appear as if levitating on air. The Dalmation Coast is one of the most beautiful coastlines in Europe. Fragrant pine woods gaze over verdant shores and 18th century villa peak out from the canopy of trees. Relatively untouched the Makarska Riviera is perfect for couples and those looking for the quieter side of Croatia. In a beautiful valley the pretty seaside town of Tucepi has a natural and local atmosphere. The nearby beach is protected by lush vegetation lining the long stretch of white pebble beach. The town itself is stylish and chic, with plenty of upmarket restaurants and superb hotels. A long stretch of fine white pebbles provide a soft and comfortable beach. Gently shelving in to the sea it is great for swimming or floating the days away. 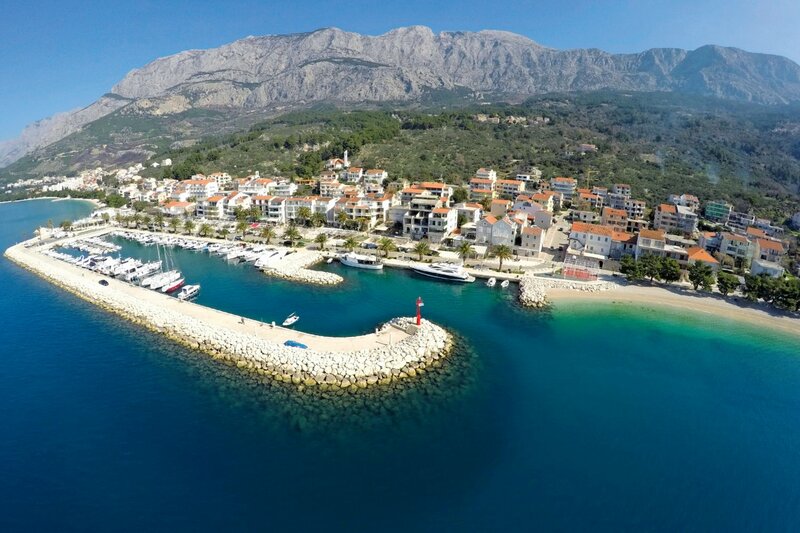 Backed by the vibrant seaside town of Makarska the beach itself stretches along a promenade shaded by trees and dotted with chic café’s, luxury boutiques and fine restaurants. 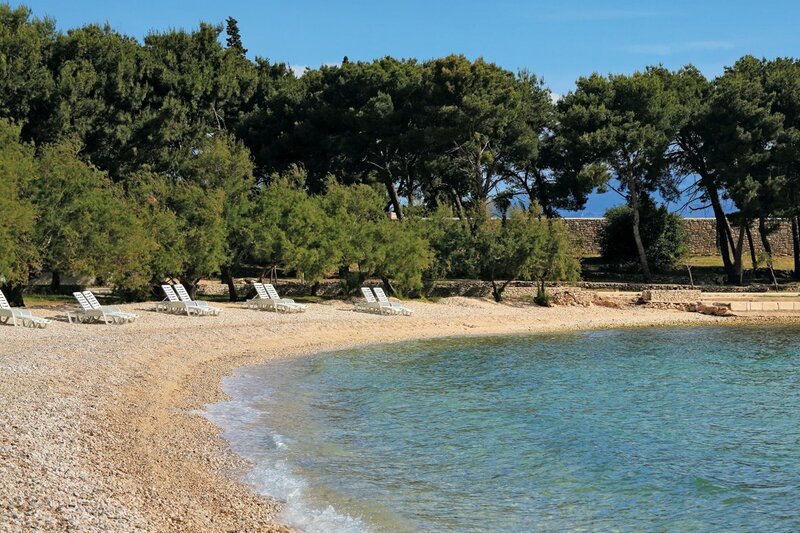 Brac is home to some of the best beaches in Croatia. This little island has a laid back vibe and local feel with a peaceful atmosphere in which it’s easy to simply lay back and enjoy its delights. Medieval churches dot the island, lush pine forests provide a lush green back drop and its beaches provide endless days of seaside amusement. Accessible by ferry, you can reach Brac from Split in around 50 minutes. 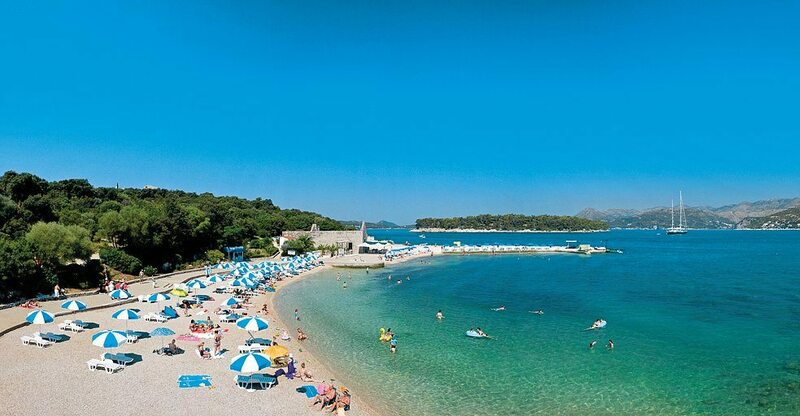 Zlatni is the Croatian word for gold, which the beach is so aptly named. 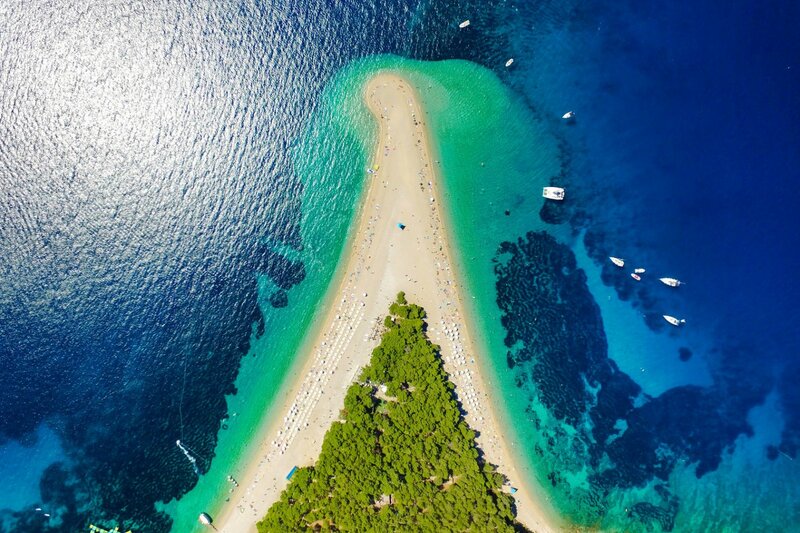 Also known as golden cape, this beach is possibly the most picturesque in Croatia and one of the top reasons to visit. A beach of soft white pebbles reaches out like a peninsular in to azure blue seas. Bathing here feels more like a swimming pool than the sea. The shallow and gentle waters are just perfect for swimming and bathing. A lush pine grove sits in the middle of the beach where you can find a hidden roman villa for a much needed excursion in the shade. 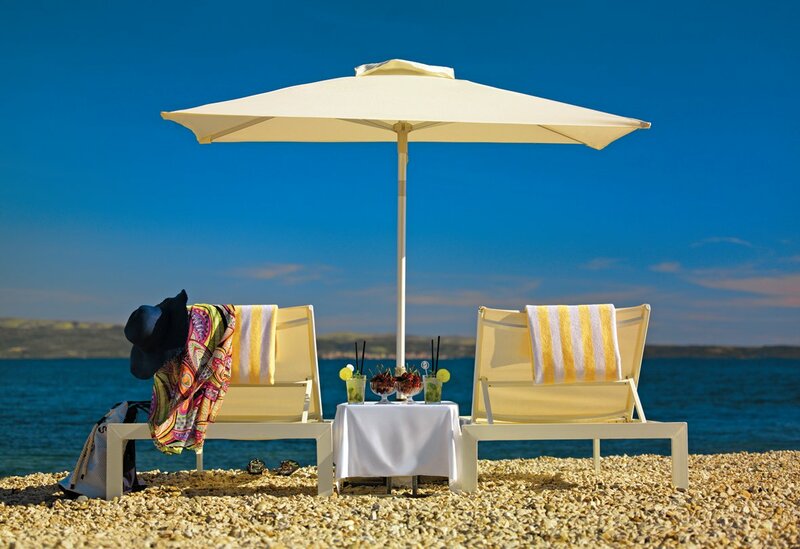 Beach beds and umbrellas are all available for hire and showers and restaurants all within easy reach. Widely regarded as the islands capital, Supetar has a local and upmarket feel. Undeniably charming the town has awe inspiring churches and quaint buildings all ready to be discovered. A day in Supetar will bring you excellent restaurants, sophisticated bars and a beautiful beach. A mix of pebble and sand the beach is protected by lush pine forests. There really are so many beaches in Croatia, but you don’t have to choose just one. Read our guide on how to find the best two-centre holiday in Croatia and mix and match 2 or more of your favourite destinations. To discover more read our guide to weather and events in Croatia or for details of hotels and holidays visit our website.